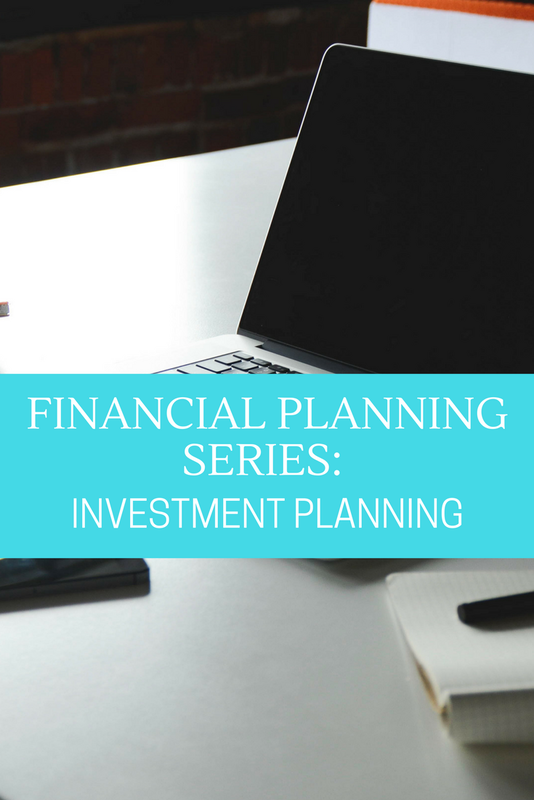 If you’re new to financial planning and you want to learn how to manage your finances on your own without hiring a professional, there are a few places you can find the information you need. And, it’s free. Fortunately, there are a number of free online courses that can help you learn what you need to know. Here are some of the best ones I’ve found. This is one of the best resources for money advice, tips, and learning. It includes 29 lessons with everything from setting goals to managing debt to home ownership and insurance, all the way through to retirement planning. Pick and choose just the topics you need or the things you’re most interested in learning now. It even includes glossaries of terms you need to know and quizzes to help make sure you’ve learned what you need. And best of all, it makes learning easy. Money Management’s online Financial Education site offers a variety of tips for long-term planning and short-term needs. If you want to know how to save money on holiday shopping or how you can earn more money, they’ve got you covered. Need information on bankruptcy, credit reports, and understanding your credit reports? That’s there too. Need help with a home loan or debt management? It’s all there. Even tips on teaching your kids about financial matters. This online course offers lessons on creating your financial goals, doing the math to figure out what you need, creating a financial plan, and getting started with your plan. Once you have a plan together, it will help you figure out things like insurance, long-term care, social security, and medical care. Like the other courses, you can start anywhere you’d like and skip the courses you don’t think you need or aren’t ready for yet. Even though this is a college-level course, it was designed to help regular consumers at all levels of their financial education make better informed decisions about their money. This 10-module course will help you plan your retirement to make sure you have all the money you need to get through. It includes several helpful tools to help you plan including personality profiles and risk tolerance calculators. This course is at-your-own-pace and it’s easy to understand no matter your financial education level. This course is designed for those who are new to financial planning to help you gain a basic understanding of money management. It covers topics like income, expenses, savings, investing, building credit, and obtaining insurance. It’s a high school and college level course to teach teens and adults alike the basics of money management and planning. 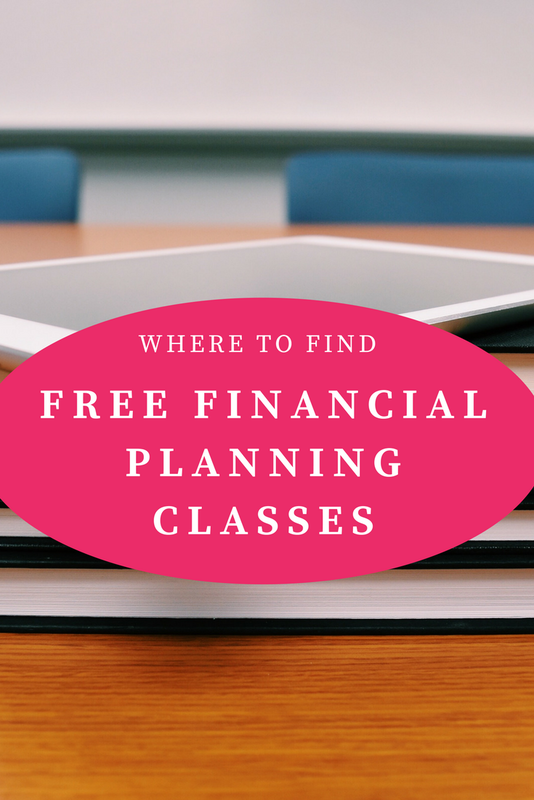 Learning what you need to know about financial planning can seem overwhelming and confusing, but with free courses like these that teach you everything you need to know in an easy to understand manner, there’s nothing to stop you from becoming financially independent. Frugality and common sense go hand-in-hand. If you are a homeowner, it behooves you to consider your options with home warranty companies. There are many benefits to signing up for a comprehensive and affordable home warranty service. The recent growth in home warranty popularity is notable. Homeowners are increasingly aware of the financial risks they run by not covering the contents of their home against damage, and everyday wear and tear. The fact of the matter is that it is extremely expensive to repair and replace appliances, gadgets, and devices inside your home. When real estate transactions are concluded, home warranties feature prominently. Believe it or not, when buyers are provided with protection against loss, damage or wear and tear of the appliances in the home, houses and apartments sell a lot quicker. Provided the right home warranty coverage is offered at the right price, the long-term benefits are well worth the cost. Home warranty companies provide homeowners with policies that cover things like spray sprinklers, spas, Jacuzzis, dishwashers, HVAC, insinkerators, alarms, washing machines and the like. The type of coverage you get is often associated with the price you pay. The greater your coverage and optional extras, the higher the home warranty prices. But there are many important factors to bear in mind when choosing a home warranty provider. For example, credibility is paramount. The trust factor weighs heavily on your decision to choose one home warranty over another. It’s important to read client reviews online, consider word-of-mouth assessments, and follow reports of home warranty companies in newspapers and the media. Other important determinants of choosing one home warranty company over another include the terms and conditions of each policy, and the pricing. Anyone considering saving money in the long term will do well to read a detailed overview at ReviewHomeWarranties. It is extremely time-consuming to gauge the services, costs, and reliability of all market players in the home warranty business. For this reason, aggregator services are your best bet when comparing one company with another. Home warranties cost between $300 and $500 per annum on average. Once the policyholder pays for coverage, they will be issued with a home warranty policy. This policy details everything that the home warranty company is prepared to repair/replace in the home. Typically, this covers systems and certain appliances. If one of the items stops functioning, or breaks, the policyholder/homeowner will contact the home warranty company and file a claim. Next, the home warranty company will dispatch a service provider to the homeowner. Certain home warranty companies allow the homeowner to contact a contracted professional at their leisure. The service fee for each repair ranges from $50 – $100, and depending on the severity of the problem, a new appliance, device or mechanical part may be ordered. Otherwise, the contracted service provider will repair the appliance on the premises. In terms of payment, the homeowner may pay upfront for all the repairs and get reimbursed by the home warranty company. It is important to read the fine print and the coverage of each home warranty plan that you sign up for. How can home warranties help you save money? One of the things about home ownership that is different to rentals is that refrigerators, washing machines, dishwashers, garbage disposal units, hot tubs, Jacuzzis, spas, garage doors and other appliances and systems are not replaced by the landlord. When these things go on the blink, it is incumbent upon the homeowner to repair or replace them. In terms of frugality, it is possible to save $300 – $500 per year by not having a home warranty, but the cost of just one item that stops working can exceed that. Consider that washing machines and refrigerators routinely cost upwards of $300, so it pays to be smart and frugal by opting for a home warranty. 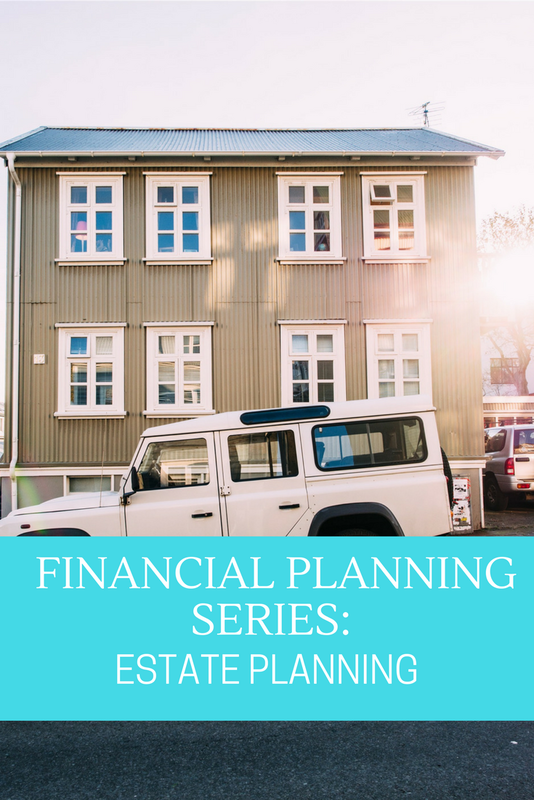 You may think you’re too young to think about estate planning; or maybe you think it’s not something you need to worry about yet, but the fact is, if you have any assets, you need an estate plan. As you acquire more assets, you’ll need an improved estate plan to make sure your loved ones are taken care of. In many states, if you pass away without a will, the state will take your assets and let a court decide who should get what. That often takes several years, causing your family financial difficulties until it’s resolved. Here are the steps you should be taking to create an estate plan that will protect your family. This is non-negotiable and has nothing to do with how much you have. A will directs who will inherit your property, how it will be divided, and if you have young children, it will name a guardian for them if your spouse has passed away as well. Whatever else you do or don’t do with your estate planning, get a will to protect your loved ones. You will also need to name an executor, the person who will handle the distribution of your property and filing tax returns on behalf of your estate. They will also handle any claims from creditors. You may or may not need a trust, but depending on your assets and the age of your heirs, you may want to consider it. A trust is allows you to put conditions on how and when your assets are to be distributed. For instance, you can state that your children don’t inherit until they are 25 with the exception of educational expenses. Create a health care directive. A living will helps you maintain control of the type of medical care you desire. For instance, if you are injured and have severe brain trauma and are declared brain dead, a living will helps the doctors know what you would want them to do for you. Would you want to be kept alive or would you want life support discontinued. In most states, without a health care directive, the doctors or the courts will make the decision which can take a long time, all the while racking up more hospital bills for your family. Have a power of attorney drawn up. This will protect your assets if you are incapacitated for a short period of time. If you should injure yourself and you’re unable to take care of your financial responsibilities for a short time, the POA will allow the person you direct to pay your bills from your account for you. Wills do not usually allow for funeral arrangements or other personal requests. Write a letter to your family letting them know your final wishes, like the type of funeral you would like, and give it to a trusted friend or keep it in a lock box with your will. Be sure to let someone know where it is. Speak to a tax attorney or accountant. Be sure you know the tax laws about inheritance and get professional help to ensure that your heirs will be able to avoid paying estate taxes. Your bank and/or investment accounts should have a beneficiary form that you can fill out, designating who should receive the funds. This will allow your heirs to access those funds quicker, without having to go through probate. Many banks have a “pay on death” form that is similar to a beneficiary form which allows your heir to simply transfer the account holder to themselves. Last, but not least, in this day and age you will also need to consider digital files. Keep a list of your accounts and passwords so your family will be able to easily access your online accounts and close them out without hassle. Planning for your death is something we’d all prefer not to think about, but sooner or later, we will all pass away and isn’t it more comforting to know that your family will be taken care of. Retirement planning can be a bit confusing, trying to figure out what you will need and how to plan when you’re not even sure yet what your lifestyle will be and how long you will need to live on savings. But there are two things you can know for sure … first, you are never too old or too young to start planning and second, you will definitely need a retirement plan. Knowing those two things, it may surprise you to also know that less than half of all Americans have taken the time and steps to start saving for retirement and that 30% of people who work in private industry and have access to a 401K or other savings plan do not participate. Considering that the average American lives in retirement for about 20 years and Social Security is not guaranteed, it’s time to take retirement planning seriously. If you’ve already started saving, great! If not, it’s time to work a savings plan into your monthly budget. Look for savings options that pay interest, are tax-free, and keep your money out of easy access. You don’t want to be tempted to dip into your savings. Calculate what you need as best as you can. Experts estimate that you will need at least 70% of your preretirement income annually to live if you’re making a 6-figure income. If you’re making less, you’ll need closer to 90% of your income to maintain your lifestyle. That is based on your home being paid off. If you’ll still have a mortgage in retirement, you’ll need to plan for 100% of your preretirement income. Keep in mind that your medical expenses will likely increase in retirement as well. Determine how you will meet those expenses. Include your pension, investments, Social Security, and any income you will continue to receive like payments from rental properties. If you’re not sure what you can expect to receive from Social Security, request a copy of your benefits estimator from the Social Security website. On average, you can expect to receive 40% of what you earned before retirement based on your seven highest-paid years. Your benefits will vary though depending on when you take benefits, so that’s important to calculate when determining when you plan to retire. You will receive fewer benefits if you start taking them at 62 than if you hold out and take them at 65. Now that you know what income you can expect to receive after your paychecks stop, you’ll need to fill the gap with your savings. Knowing how much you will need to live on for at least 20 years and how much you will have coming in, you should be able to figure out what you’ll need to fund your retirement nest egg. 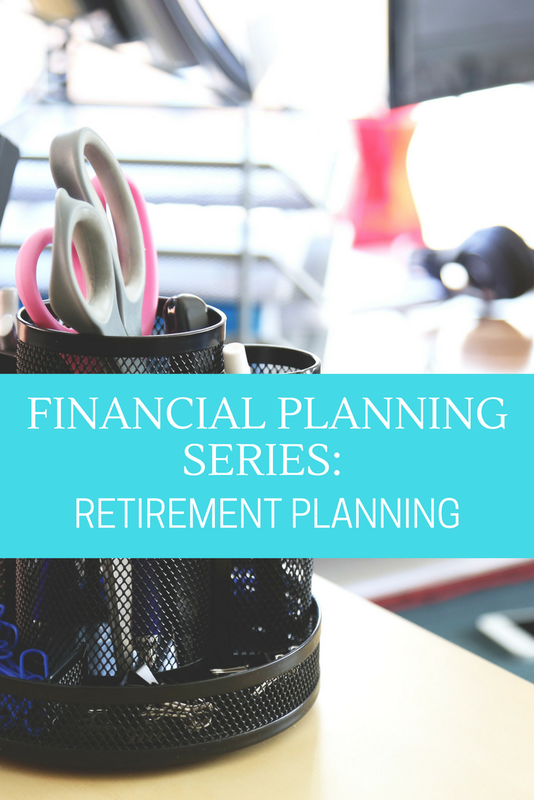 Planning for retirement doesn’t have to be confusing; it just involves a few calculations. Calculate your expected expenses and your expected income for the years you plan to live in retirement, determine the difference, then make a plan to start saving so you reach your savings goal before you reach retirement. New to financial planning? Start with the overview. Then understand cashflow, learn about insurance planning and risk management, or pump up your investment planning. As your income and investments grow, so will your tax responsibility. After all, Uncle Sam wants a little bit of your good fortune too! There are a few tips and tricks to lowering your tax responsibility though and they can really help you out when it comes time to file. However, you don’t want to wait until April 14th to start looking for deductions. You’ll need to start sheltering some of your funds before the end of the year to qualify for them. You have a choice between standard and itemized deductions when it comes to determining your taxable income. A standard deduction is pretty straightforward, it’s a dollar amount set by that government that you can claim without calculating any expenses that typically make up an allowed deduction. Itemized deductions on the other hand are just what they sound like, an itemized accounting of actual expenses allowed for deductions. If your expenses over the year are more than the standard deduction amount, you’ll want to go with itemized deductions. You’ll pay less tax and get a larger refund. One thing to keep in mind though, itemized deductions require proof of expenses so you’ll need receipts and any other documentation showing these expenses or they won’t be allowed. If you believe that the itemized deductions will work in your favor, be sure to set up a good filing system for holding on to your receipts. Regardless of which deduction method you choose, it’s always a good idea to hold on to receipts so that you can make a better decision come tax time. Retirement accounts are a great way to reduce your taxes as well as have income for the future. A qualified individual retirement plan can create a tax shelter of income that is not taxed. For instance, at a 25% income tax rate, depositing $15,000 into a qualified retirement plan can save you $3,750 on your tax return and you won’t pay taxes on your deposit until the money is withdrawn. If you wait until the required age for withdrawal, you’ll even avoid paying most of the taxes on these deposits. There is a maximum allowance for yearly deposits into these accounts though so be sure you know what the limit is for the fund you select. There are a few other options for saving money and getting deductions that allow you to defer or even avoid paying taxes altogether. Health Savings Accounts including medical savings accounts and flexible spending accounts can be funded by you or your employer, or both. Both contributions and withdrawals are tax-free. 529 College Plans are funded with after-tax deposits and qualifying withdrawals are also tax-free. The 529 Plan allows you to choose with a prepaid tuition plan or an education savings plan. Dependent Care Savings are flexible spending plans focused on helping you pay for childcare while you are working. They are held in separate fund and qualifying deposits and withdrawals are tax-free. Keep in mind though that any withdrawals made from these accounts that are not for a qualifying expense are taxable at the time of withdrawal. Earned Income Tax Credit is for low-income earners. Your annual earnings, filing status, and number of dependents will determine if you qualify. Child and Dependent Care Credit helps cover childcare and/or disabled dependent care when you are working. American Opportunity Credit helps cover some of the costs associate with post-secondary education during the first 4 years of college. There is a maximum credit of $2500 per student and 40% of the credit is refundable. New to financial planning? Start with the overview. Then understand cashflow and learn about insurance planning and risk management. Investment Planning is one of the best things you can do to set yourself up for financial success. And the sooner you get started, the better off you’ll be when it’s time to use some of those funds for retirement living. But getting started can be confusing and overwhelming. Let’s break it down a little to help you feel more confident about getting started. No doubt you have several short-term financial planning goals that might include a big vacation or down-payment for a house, but investment planning is best for long-term goals like retirement. Keep that in mind as you create your investment plan. The younger you are when you start investing, the more risk you are able to take because you have a longer time to make up any losses and increase your funds. A good way to allocate your investment assets is with 70% stocks and 30% bonds. Stocks can be both in the US stock market and the international stock market, so split your investments to 50% in each. It’s good to divide your bond investments as well into 50% Treasury Inflation-Protected Securities (TIPS) and 50% in intermediate-term nominal US Treasury bonds. It’s good to keep your investments at this split throughout your lifetime, keeping in mind that as you get closer to retirement you’ll want to keep a few years worth of cash easily accessible. The invested portion of your funds can stay at this same allocation. While the above may seem complicated, it’s not as difficult as you may think. All of these asset allocations can be accomplished with just four funds, all through Vanguard. This gives you a nice mix of both low and high risk investments. If you hold your investments directly with Vanguard, there are no commissions to pay for buying and selling so your expense for each fund is anywhere from .05% to 20%. These funds provide a great way to allocate your investment account for very little money. There isn’t an exact science to investing and there are no “rules” about how much you need to invest and where, but this kind of split will give you good access to the stock market which is where your long-term financial growth will come from. For the stock portion of your investments, a 50-50 split allows you to maximize your diversification while investing both in the US and internationally. The bond investments of your portfolio are less about providing returns and more about offering protection when the stock market is down. Choosing US Treasury bonds are safe and guaranteed, providing peace of mind if the stock market is experiencing some lows. Keeping your investment percentages static will allow for the most growth, versus changing your investment allocations year after year. Over the long-term you’ll see the most growth by just maintaining this balance. With that said though, you’ll want to keep an eye on your investments and keep an open mind about possible changes you may want to make if you see an area not performing as well as you’d like for an extended period of time. You may also find that you need to make adjustments based on your own personal circumstances. Getting started with investment planning doesn’t have to be difficult, the most important thing is to just start investing and grow your investment funds over time. The sooner you get started, the better financial shape you’ll be in when retirement comes around. 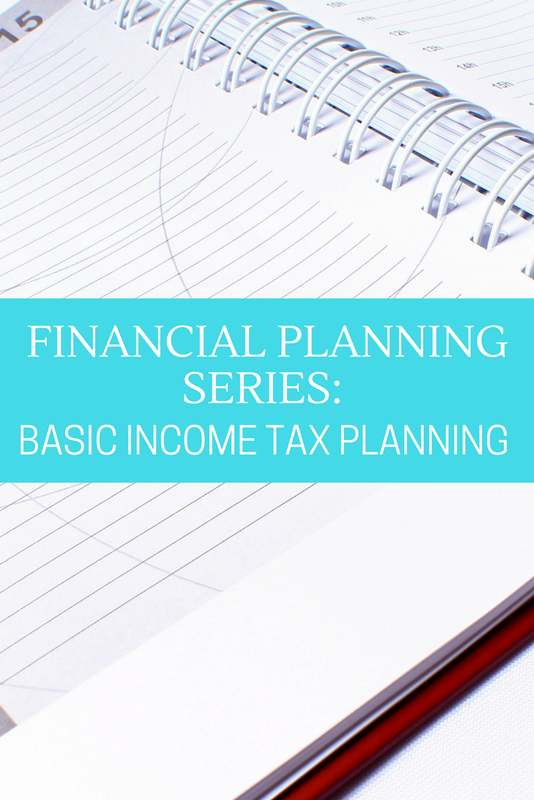 Learn more about financial planning by reading up on tax planning.